This article speaks about the importance of teaching pronunciation, or accent reduction, to all ESL students, and includes ideas for lesson plans. 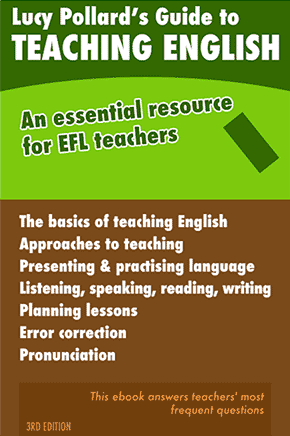 I often hear comments from ESL teachers along the lines of, “teaching pronunciation isn’t very important”, “my students are too low to be studying accent reduction”, or “I first want my students to speak, then I will help them with their accent”. I disagree with all of the above and would like to highlight a few of the reasons why I find that teaching pronunciation, or accent reduction, to any level of student is important. Some teachers call it “accent modification”, others “accent reduction”, and others simply “pronunciation”. It doesn’t matter what you choose to call it, you are essentially trying to teach somebody English: both how to understand spoken English and how to be understood when speaking English. That’s right, it’s just English. I have studied several languages, and all of my teachers have, sometimes painfully, made me practice the different “hard to get” sounds. So why not in English class? Well that’s what I would like to speak about today. Below I give some of the most important concepts to understand and pass along to your students. I will also give some examples to spark ideas for your future classes. Word stress (sometimes called sentence stress) is a very useful and often engaging and fun topic to teach. If you have never studied or taught common word stress patterns in English, research them a little before bringing them to your students. In English we usually stress what are called the content words. Content words are usually the most important word or words in a sentence. In English, content words are usually the nouns. In some languages speakers generally stress the verbs, adjectives or pronouns. Remember to first teach what stress is. Stress is elongating or emphasizing one word or one syllable, in a thought group or sentence. Learning word stress patterns can also help students with listening comprehension. Students may be listening for words that native speakers generally glide over, or swallow. Teaching them the patterns of spoken English might be their aha moment and boost their comprehension skills greatly. Another area to address when teaching pronunciation is syllable stress (sometimes called word stress). Stressing the correct syllable can be very difficult for non-native English speakers. Syllable stress may be particularly difficult for speakers of French, Spanish, Italian and other languages which share many cognates with English. Cognates are words which share the same origin, but may be spelled or pronounced differently. Often relearning how to say a word is more difficult than learning a completely new word. A great way to introduce this topic is by asking the students to pronounce names of cities from their country both in their native language and in English. It quickly becomes clear that in English we often stress a different vowel sound than they are used to. Another idea is to have students pronounce common words in their different forms, such as photograph, photography, photographic. This can be a challenge for many students, but can also make for a fun and dynamic class. Another important topic to teach is what is often called linking. We English speakers are frequently accused of eating our words, and that’s because we often do. There are many common linking patterns in spoken English; of course there are many exceptions as well. This is another vast topic, so research it a little more before taking it to your students. Do you ever misunderstand people because they link words? It only occurred to me recently that the lyrics in the song The Weight by The Band were “take a load off, Annie”, not “take a load of Fanny”. Many teachers like to focus only on pronouncing vowels correctly and forget about the difficult consonant sounds. Instead of just teaching a student to produce the correct sound I like to show them why it is important and how it can change their speech. One area in particular that students often need to work on is the difference between voiced consonants and voiceless consonants, particularly at the end of a word. Teaching a student to elongate the vowel sound before a voiced consonant and keep the vowel sound short before a voiceless consonant can make a remarkable difference in their accent. Now add an /s/ to these words. Notice that the /s/ sound after a voiced consonant sounds like a /z/. This is what is called the voiced /s/ sound. These are only a few voiced consonant sounds and only a few examples of when an /s/ is actually a /z/ sound. Research some more rules and exceptions before taking this to your students. Last but certainly not least, is teaching correct vowel pronunciation. With fifteen common vowel sounds in American English, we have more vowel sounds than many other languages. Understand that producing all of these correctly is very difficult for many non-native English speakers. Don’t assume that your students can hear the different sounds. Make sure that students can identify a sound before you ask them to start producing it. When teaching vowel sounds work with minimal pairs—that is, words that are only different by one phonological element. Often being able to contrast one sound with another makes it easier to pronounce correctly. I put a great deal of focus on the diphthongs in English. A diphthong, also called a gliding vowel, is a sound which includes two distinct target sounds. When we pronounce a diphthong our mouth moves making it a sound that a student can “see”, not only hear. One thing to remember is to always give your students time to practice these new sounds, both in word lists and in sentences. There are many rules and exceptions to be aware of when teaching pronunciation and accent reduction. If you have any specific comments or questions, please contact me and hopefully I can assist you. Denis is a Co-Founder and Director of Language On Schools. Students can study at Language On Miami Beach or Language On Miami. Well done Denis! A well-written and well-researched piece; I might say bordering on scholarly work! Thank you so much. The info is really useful. I enjoyed it! Keep on helping us improve. This is timely and gives me a plan! My students need help here, thank you.